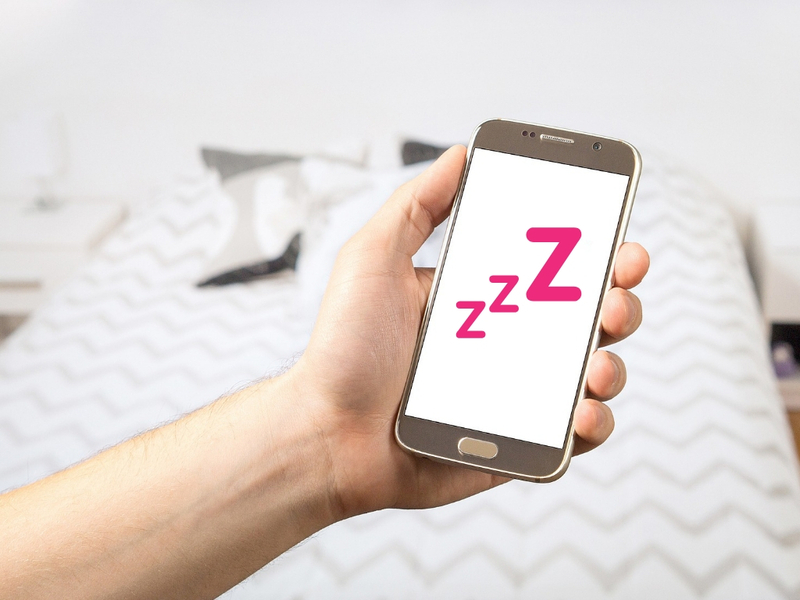 If you’re having trouble getting good-quality sleep, your smartphone isn’t the most obvious solution. After all, it’s thought that the blue light from phone screens could disrupt sleep and sleep quality. However you can also use apps to relax and unwind, track your sleep, and wake you up at the best time in your sleep cycle. Here are some apps or app types to research and try if you’re looking for a helping hand to get some quality shut-eye. If you wake up to your alarm feeling like you’ve been hit over the head, try a ‘smart alarm’ app like Sleep Cycle or Pillow. It senses when you’re in your deepest and lightest parts of your sleep cycle and then sounds your alarm when you’re at the lightest part of your cycle so you wake up feeling more refreshed. There are several apps that you can find in your phone’s app store that simply play white noise, some free and some paid-for with some additional features like timers. Many people with fussy babies swear that playing white noise into their room helps them drift off, and stay asleep for longer, and it works on adults too. White noise works by masking other background noise, cutting out distractions and irritations. However it’s an electronically created noise that some people don’t like, so there’s a chance you’d find it distracting rather than pleasant. A different consistent natural noise, like rain or crickets, might suit you better in which case you could try a nature sounds or meditation app instead such as Pzizz. This is a unique take on the usual sleep music / meditation app. Each night the app creates different ‘dreamscape’ to lull you to sleep, so there will always be variety. You can customise certain features such as whether you just want soothing sounds or if you want a soothing voice-over. Pzizz has both a free and a paid-for premium version, and lets you try the premium version for free for 7 days. This app teaches meditation and mindfulness techniques. It’s not just useful for before bed, but users say it helps them feel calmer and more focused in other areas of their life too. Headspace is a subscription service that you can either sign up for monthly or for a whole year (for a steep discount) however you CAN try a 10-day meditation introduction for free to see if you like it before you commit. There’s even a Headspace for kids, which focuses on teaching them relaxing and calming techniques. If you need a Spanish mobile phone or SIM, Telitec can help. We’ve got some great, simple-to-use smartphones on offer as well as a range of tariffs to suit everyone. Fill out the ‘Tell Me More’ form on this page and we’ll get back to you to discuss the best tariff for you.